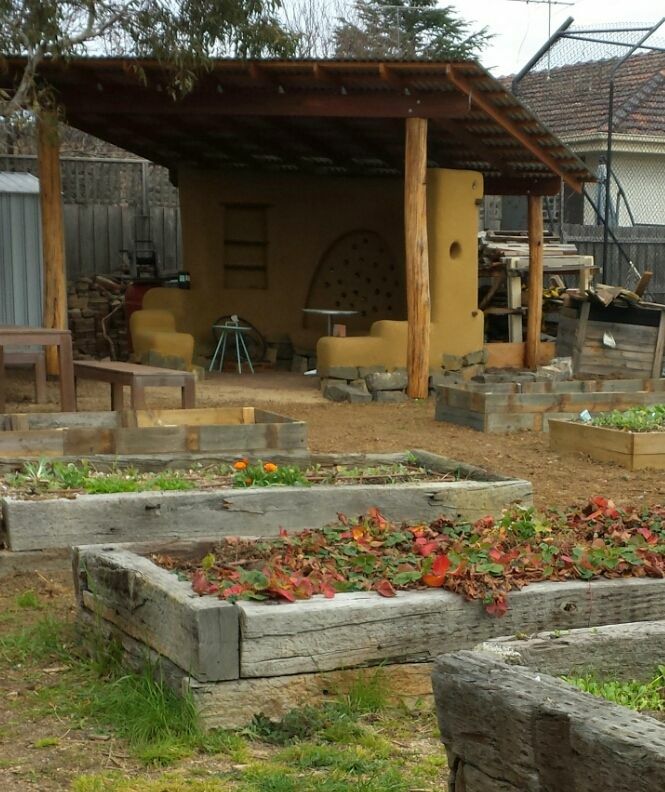 Click here to read an interview with Audrey Beard, the Community Garden Coordinator. This garden is membership-based but membership is free. To discuss any aspect of the garden, contact Colleen Duggan by email. At 64 Clyde Street, Thornbury. 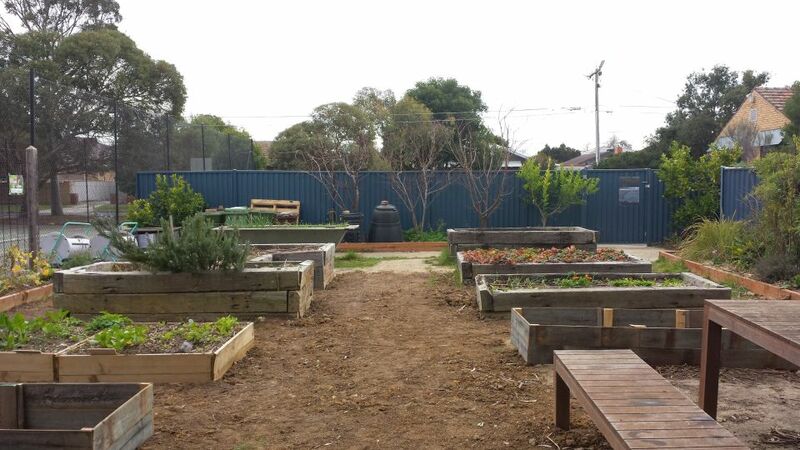 The garden is a community shared space. 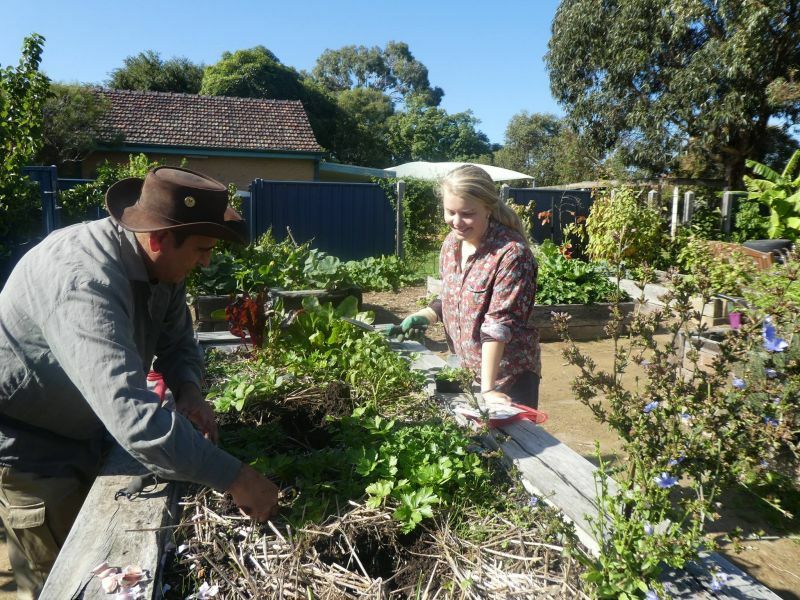 There are no individual plots but produce is shared amongst those that attend, as well as used in the community lunch and cooking classes at Span. The garden is maintained with a watering system and by regular planting and harvesting. All produce is organic. The garden is a large space with a number of garden beds and areas producing vegetables, fruit and herbs. There is a shelter built with natural building techniques and materials that can be used for meetings or other activities, a propagation area, a seed and cuttings swap program, and a community mural. There are regular sustainability programs, classes and activities run throughout the year. The garden is access friendly for all. The garden is shared and maintained by a dedicated group of volunteers and community members, with the assistance and support of Span Community House, and regular working bees. All those participating have differing levels of skills, experience and physical abilities. New community members and gardening beginners are invited and encouraged to join the garden group and participate in Span’s activities whilst learning and enjoying the company and support of other community members. The garden group meet every Wednesday, 10am-midday.